At almost one year in our house, it seems like we have been there forever. We have settled in well and our day-to-day is second nature now. 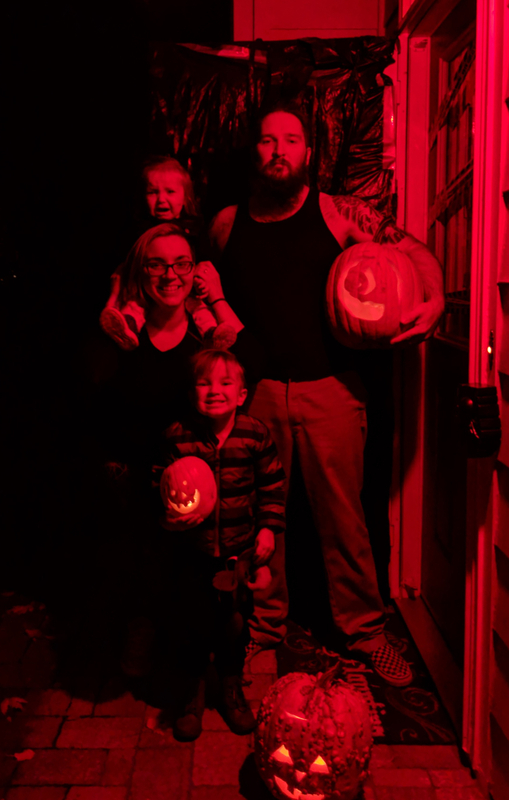 But there was still one more first for us to experience, the one we have been waiting almost an entire year for…Our first Halloween in our new home! 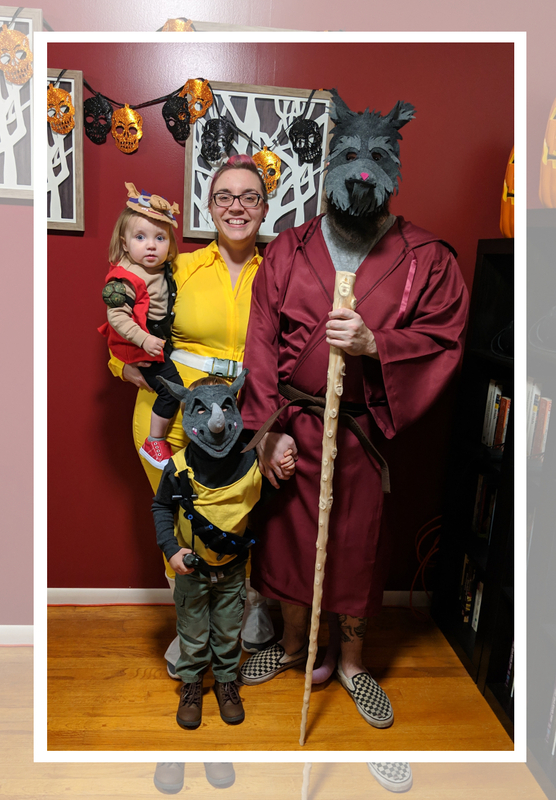 So, let’s talk about Halloween. We started decorating at the end of September and spent the entire month of October amassing more and more decorations. Out house was spooky and wonderful, just as we dreamed it would be. We started streaming The Chilling Adventures of Sabrina, and watched Constantine: City of Demons to get as much into the spirit as we possibly could. 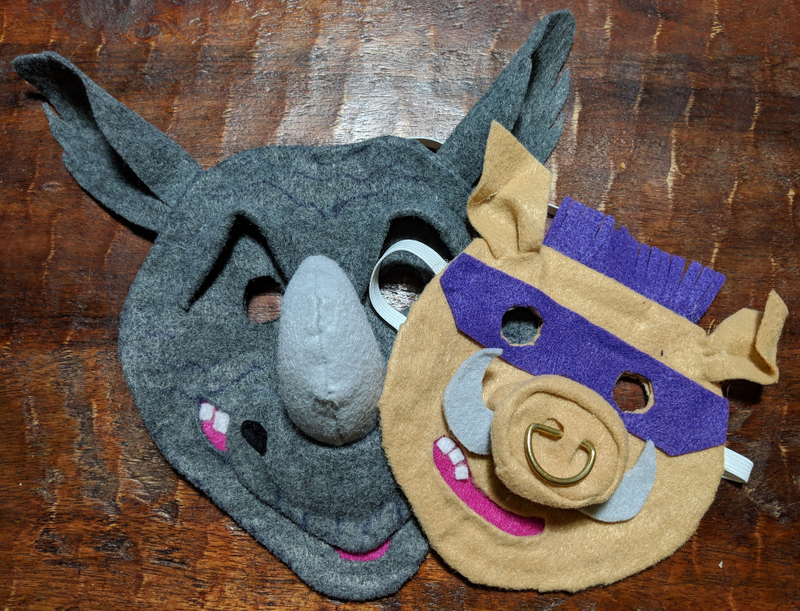 Much earlier in the year, I decided that I wanted to dress the kids up as BeBop and Rocksteady from TMNT. My mom and I (mostly my mom) got to work getting all the costumes together. Last year, we skipped the homemade costumes and reused Darth Vader from when Paddy was younger. So making costumes again this year just made the season that much better. My amazing mother made three phenomenal masks for the kids and the Mister. I still can’t get over them. 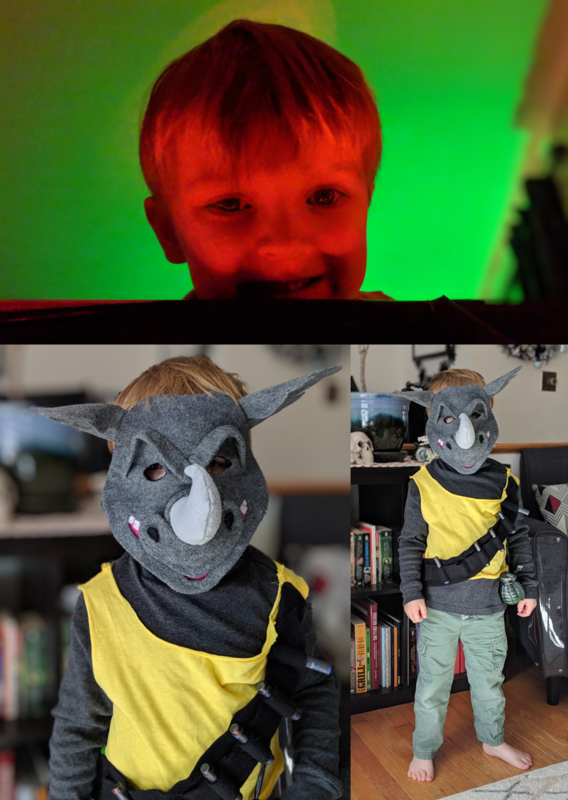 And frankly, I am a little envious that the costume I picked didn’t come with a mask. On Halloween night it rained. Luckily, it wasn’t a heavy rain nor was it very cold, so we trudged through it, kids in tow. They did great! Both of them. Mo wanted to stand at every door with Paddy. She learned to say “trick-or-treat” and he told everyone “Happy trick-or-treating!” I think we were the only adults that were in costume, but that’s their loss, we love this holiday. I made it known that I will continue to go trick-or-treating with my children as long as they will let me. And after that, I’ll dress up just to answer the door. We’ve done a good job forgetting our horrendous apartment over the past year, and Halloween was really the closing of that casket. We decorated, we dressed up. We tricked and treated and really indulged in everything Halloween. Our house was beautiful. Our costumes were second to none. The only thing not cooperating was the weather.